On February 28, 2019, Sustain Ontario hosted an interactive workshop entitled Farm to School in Ontario: Exploring Solutions to Common Challenges. 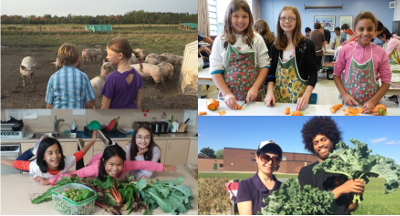 This event, held in partnership with the George Brown College Centre for Hospitality and Culinary Arts, brought together passionate Farm to School champions from across Ontario to discuss ways to enhance their Farm to School efforts. We’re pleased to share the summary proceedings from this event as well as our presenters’ powerpoints! We hope you enjoy them and don’t hesitate to get in touch if you have any questions: cwebb@sustainontario.ca.